Hundreds Protest New Mexico's Proposed Creationist-Friendly ... - We Resist. The NGSS was developed with public input before being rolled out across the country. It wasn’t some government mandate. It was just a set of standards developed by people who understood the topic and had students’ best interests at heart. 18 states and Washington, D.C. have already adopted the standards for their own schools, and New Mexico was set to join that list earlier this year. Unfortunately, Governor Susana Martinez vetoed a measure to adopt those standards as is. Her argument was that they needed tweaking… but when the New Mexico Public Education Department released their revised standards, you can guess what the GOP-led group did. The proposed changes would remove the age of the Earth (4.6 billion years) and replace it simply with “geologic history.” They would also remove references to the rise in global temperatures over the last century (preferring “fluctuation”) and strike the term climate change from the text. The revisions also challenged the concept of evolution, suggesting there were other possibilities for how our species got here. Basically, New Mexico Republicans wanted the science standards stripped of anything contradicting evangelical Christian doctrine. 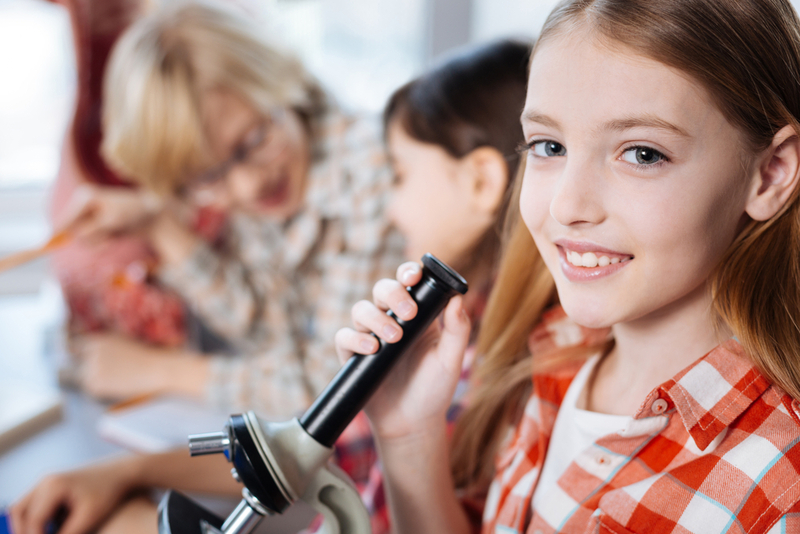 … These proposed standards fall far short of what is needed to foster scientifically literate students, compared to both the existing New Mexico science standards and the Next Generation Science Standards (NGSS) that are being adopted in many other states. Understanding the human causes of climate change, biological common ancestry and natural selection, and Earth’s slow transformations are all essential to modern scientific literacy. There is absolutely no scientific rationale for weakening the treatment of these subjects in New Mexico K–12 education. Weak treatment of these subjects would be a disservice to our students and, ultimately, a blow to our state’s economic competitiveness, adversely impacting the economy directly through diminished skills of the workforce, and indirectly through a tarnished state reputation that would discourage high-tech firms from locating here. They weren’t messing around. Notice how they didn’t just say this was bad science. They also noted that this would be bad for the economy and attracting talented people to the state, since the best and brightest people wouldn’t want to move there and send their children to schools where they weren’t going to receive a quality education. But again, we’re talking about Republicans who are in charge. The idea of listening to scientists when creating science policy doesn’t make any sense to them. He also, notably, didn’t say anything about who had input into the revised standards… which makes me wonder if they consulted with any scientists at all. There was a public forum on the revised standards last night in Santa Fe, and hundreds of people showed up to protest the watered-down version endorsed by Republicans. Some students said the changed standards would put them at a disadvantage when applying for college or a job in a science-related field. “I plan to go to college for a scientific field and I want people to know I’m from New Mexico, home of the atomic bomb, home of science and not for this,” Kayla Botinelli, a Valencia High School student, added. What did Ruszkowski have to say to all of them? Nothing. He didn’t even bother showing up. As it stands, students want the stronger standards. So do teachers. And parents. And scientists. Pretty much everyone except for the Republicans in charge, because the party no longer gives a damn about objective reality.